CEntrance is a leading manufacturer of high-quality recording devices and award-winning Hi-Fi listening solutions. 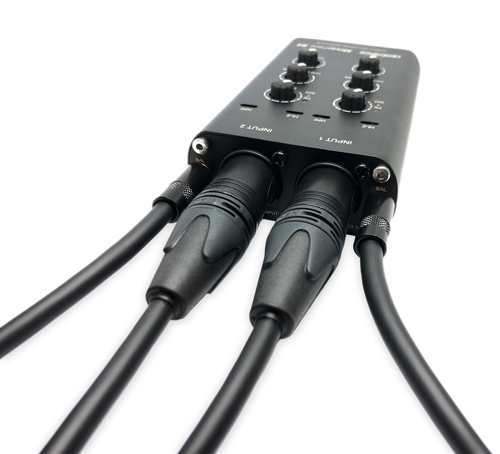 MixerFace R4 builds on the legacy of its USB-powered MicPort Pro and takes the Company’s recording product line to a new level of portability and power with MixerFace’s built-in battery technology. 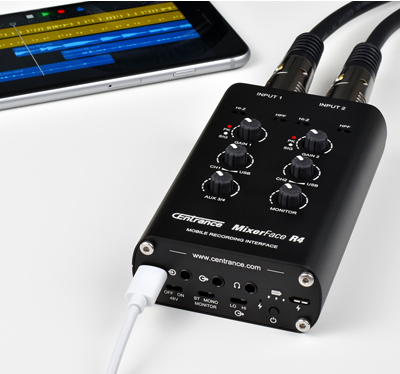 MixerFace R4 is compatible with most smart phones, tablets and laptops/desktops, including Android and Apple iOS, and macOS and Windows-based computers. About the footprint of a smart phone, the four-input mobile recording interface is designed to easily make high-quality audio recordings on the go and share digital projects online, all while delivering professional results. • Record to Android, Apple iOS, macOS and Windows devices.